“Those who rely on Shugden, whether lay or monastic, please do not enter this shop.” – translated by Jamyang Khedrup. The shop is located in South India. 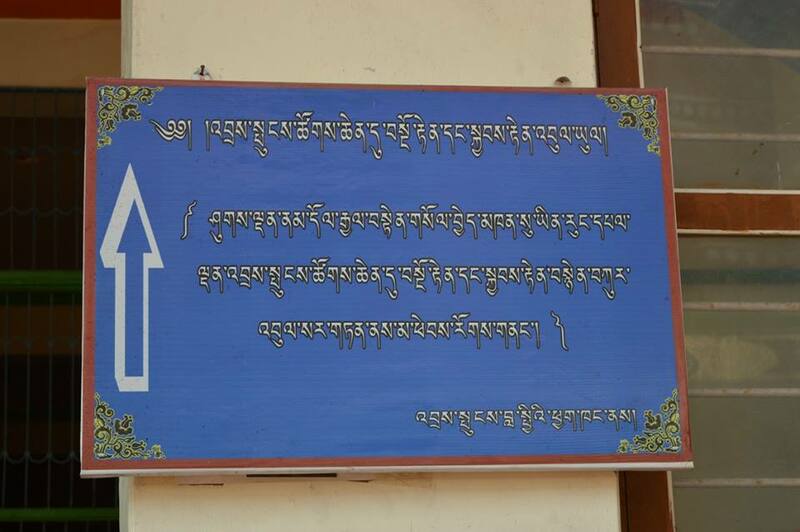 Sign at an Airtel telephone shop owned by Drepung Monastery, Lama Camp 2, near Mundgod, South India. The Airtel telephone shop with the sign from afar. Robert Barnett: Like most religions, Tibetan Buddhism recognizes the existence of numerous local gods or spirits. Most of these are regarded as ignorant, emotional, and prone to anger and jealousy, but some are seen as powerful and ferocious forces that can cause severe damage to humans. Tibetan Buddhists traditionally believe that it is necessary to pacify or appease these forces to deter them from causing damage. With local deities, this is done through rituals, such as offerings of incense or symbolic forms of food or drink. But a small number of these powerful spirits are believed to be helpful to Buddhists, or even to have become Buddhist followers themselves. The most powerful of these are called protectors or protector deities, and practitioners often include more complex prayers and rituals appealing to them to help them in achieving their religious aims. The current dispute is over whether or not to pray to a particularly ferocious protector deity called “Shugden” or “The Powerful One.” Many lamas belonging to the main school or sect of Tibetan Buddhism, the Gelugpa school, used to require their followers to invoke this deity, and this practice became particularly widespread among Gelugpa followers from the 1940s onwards. The Dalai Lama, however, has warned for the last forty years that he considers invoking this spirit to be divisive and even dangerous, and in 1996 he finally told his followers categorically not to worship it. But a group of other Gelugpa lamas insists that it is essential for their followers to pray for protection to this deity, and they further imply that disaster could result if this is not done. So the basic dispute is not over whether this spirit is ferocious, powerful or effective for its own propitiators – it’s over whether it is safe or moral to invoke it. Behind this is a larger dispute over sectarianism. In the past Shugden promoters were associated with Gelugpa supremacists, and some of their texts explicitly called on their protector to denounce and destroy the other Buddhist schools, as well as any members of the Gelugpa school with views diverging from theirs. The modern followers of Shugden in the West say that the protection offered by their spirit refers to defending the “purity” of their version of Gelugpa teachings. They say that this means only that their followers do not take teachings from a lama belonging to any other sect. However, there are many people who fear that the aggressive aspect of the Shugden practice has not changed. The Dalai Lama, although he is a member of the Gelugpa school, takes teachings from the lamas of other schools, works closely with them, and has encouraged respect for all forms of Tibetan Buddhism. So he and his followers have said that they reject the Shugden practice in part because of its link to sectarianism. This tension over sectarianism reflects a deeper division over the future direction of Tibetans in general. The non-sectarians are committed to a vision of Tibetans as a unified community or nation, with the Dalai Lama as its symbolic centre. The more active Shugden lamas, on the other hand, emphasize the creation of autonomous, lama-run centres or organizations around the world, which will support their followers and promote their version of Tibetan religious teachings. These two views of how Tibetans can best survive in the modern world – the rebuilding of a single nation in exile or the construction of separate institutions around individual lamas – have erupted into open conflict, perhaps because, 55 years after coming into exile and with the Dalai Lama ageing, the stakes for the Tibetan community are now so high. In recent years this dispute has become even more complex, with some pro-Shugden lamas now saying that Shugden is not only a protector deity, but is also a fully-enlightened Buddha. So, in Christian terms, they’ve raised it from being a local spirit to the level of the Godhead itself, which necessarily means it can’t do any harm. I am not sure how widespread this belief is among Tibetan followers of Shugden, but you now find it propagated everywhere among western followers. So they may not even be aware that this entity has long been understood by others as a kind of contentious local spirit, and they’ll be likely to see any criticism of it as an attack on Buddhist belief itself. This is just one example of how the nature of the dispute is changing over time as new strategies and arguments are bought into play, each time raising the stakes and making resolution more difficult. Q: Is the Shugden issue a purely religious problem or are there political implications too? Robert Barnett: This reason that this dispute has become so bitter and divisive is because it wraps together several very different issues, ones that go to the core of Tibetan identity. On an immediate level, for ordinary, individual Tibetans who invoke Shugden, the issue is religious and personal – it is over which protector deity their lama tells them to invoke, whether invoking that deity will or will not improve their lives and those of their families, and whether there will be conflict with followers of other lamas. The number of such individuals must be very much smaller than the figure claimed by the protestors (they put the number at four million, but the evidence for that is lacking), but the dispute must have led to great difficulty and pain for those caught in the middle. But the fate of these individuals, important though it is, does not always seem to be the main focus of the current protests. We can see this by looking at the slogans and demands raised by the Shugden protestors. When speaking to the media or to their general followers, the protest leaders explain their concerns about whether Tibetan followers of Shugden are persecuted because of their beliefs, which they phrase in terms of human rights. This is a reasonable concern to raise, since there have been reports of serious tensions within the Tibetan community over this issue. Accounts by both sides are liable to exaggeration or evasiveness, and, absent independent research, the details remain hard to verify. But this question, as it stands, deserves a reasoned response. However, the most serious slogans raised by the protestors are not related to questions of discrimination or human rights, or to the status of the Shugden spirit. They consist of attacks on the standing and legitimacy of the current Dalai Lama. These are expressed through such slogans as “false Dalai Lama” and “the Dalai Lama is the worst dictator of the modern world”. The bulk of the campaign literature produced by the Shugden protestors, consisting of at least two hundred pages, presents a lengthy, complex claim that the current Dalai Lama was selected as a result of fraud seventy-five years ago, and is not the correct holder of his position. So the slogans of this type seem to be part of an effort to undermine the standing of the Dalai Lama and to strip him of his authority. 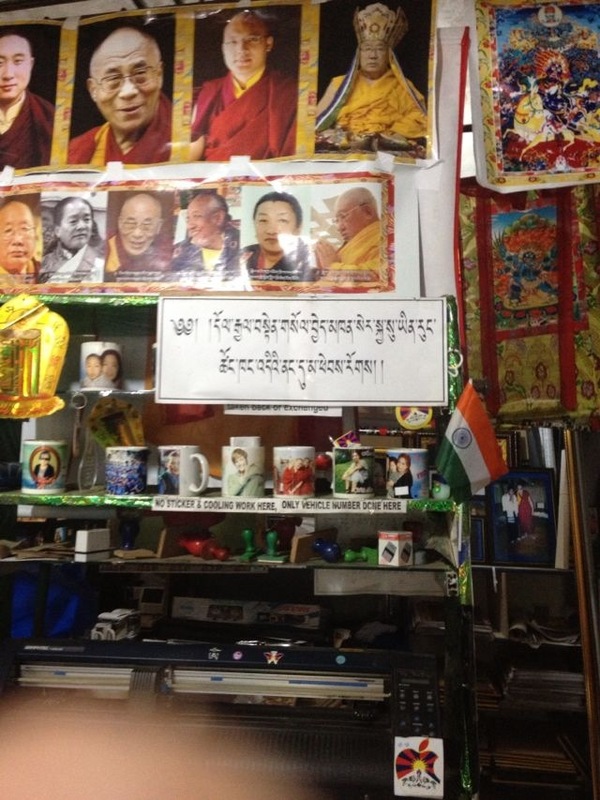 These slogans have only a vague relation, if any, to concern about resolving possible cases of discrimination in the contemporary Tibetan community. This helps explain why Tibetan loyalists are so defensive in their responses to the Shugden protests: they are responding primarily to attacks on their leader, the Dalai Lama, and implicitly on their efforts to build an exile community. And in fact it is the case that the vast majority of the campaign literature produced by the Shugden protestors consists of such attacks. This is what is puzzling about the Shugden campaign, because, if the aim of the protestors is to improve the treatment of their co-religionists in exile, this would seem the least productive way to achieve that. The human rights issue has been lost and, indeed, made more difficult because the protestors have framed it within a polemical attack on the values at the heart of the broader exile Tibetan community. From a sociological perspective, the current Shugden movement is relatively straightforward: it reflects a drive by some of the more active Shugden lamas to try to build up institutions of their own, with their own followers and their own sources of income and authority. That’s a normal feature of Tibetan society, and it happens all the time, usually without a problem; you can see dozens of other lamas round the world who have done that without conflict. The lama associated with the current protests (though he says he has no direct role in them) is exceptional, since he is establishing not just a new institution, but a new school of Tibetan Buddhism too. But even that is not particularly contentious, as different schools can ignore each other and often do. But in this case, the focus of the new school’s followers seems to be on attacking the standing of the established school. That is more unusual in the modern world. Q: The protesters accuse the Dalai Lama of being the “false Dalai Lama”, who was “falsely recognized by Reting Rinpoche”, being the “saffron-robed Muslim”, having ordered the self-immolations in Tibet, having planned together with his brother Gyalo Thondup to murder the king of Bhutan and so on. Is there any truth in those allegations? Robert Barnett: This aspect of the Shugden campaign aims to show that the selection of the current Dalai Lama in the 1930s was fraudulent. This argument is particular to the western Shugden movement and certain of its allies. It’s not found amongst all Shugden practitioners, and is not part of Shugden worship or its liturgy. It’s not clear where it came from, or why it was inserted into the current debate, and it may well be unfamiliar or even troubling to some other Shugden lamas and ordinary practitioners. The campaigners say that their evidence for these accusations comes from a Tibetan manuscript which describes a secret political plot in Lhasa at the time. That manuscript is anonymous, undated, unpublished and previously unknown. It includes a few known facts along with many others that are unverifiable, and it cites microscopic incidents which cannot be confirmed but which are given primary causal value. For example, what the Dalai Lama said privately one day to a visiting lama when he was about four years old is presented as proof that the child was not the reincarnation of the previous Dalai Lama. So is a claim that as a child the present Dalai Lama sometimes lost his temper. The fundamental argument behind this reasoning is based on supernatural assumptions about reincarnation, prophecy and magical abilities. So we cannot treat these as either false or true; they are matters of belief. Besides these, the Shugden campaign has published hundreds of pages of additional allegations against the Dalai Lama (see “The False Dalai Lama”). Some of these are straightforward misrepresentations: the fact that there were Muslim families in the village where the Dalai Lama was born is cited as proof that his family was Muslim. But of course there were Buddhist families in that village too. And if he and his family were Muslims, that would anyway have no bearing on the validity of his selection: Tibetan Buddhists have recognized people with innumerable ethnic and cultural backgrounds as reincarnations of past lamas. The other allegations are taken from publications by polemical critics of the Dalai Lama which have circulated for some decades. These tend to list a large number of small events (such as occasions when a political or religious extremist has been able to get a meeting with the Dalai Lama) or to assert connections that can’t be verified (such as that Dalai Lama must have been complicit in his brother’s political activities). These are then fitted together to form a pattern of some sort. These arguments work by finding a negative interpretation for every incident, and by excluding any positive interpretations or benevolent events that could be seen as to the credit of the Dalai Lama. In fact, there have been criticisms made of the Dalai Lama by several scholars and political commentators based on reasoned arguments about particular decisions. These generally have avoided polemical assertions and do not allege grand conspiracies. The Shugden protestors have tended to select criticisms of a more incendiary or polemical kind, rather than more scholarly ones. This might be another reason why their claims are seen by many in the exile community as provocative. Q: Another claim of the Shugden protesters is that the Dalai Lama is attempting to make himself the head of all the Tibetan Buddhist traditions. Is this a realistic claim? Robert Barnett: The current Dalai Lama is often portrayed incorrectly by the western media as the head of Tibetan Buddhism. This is partly a confusion about his role as the political or symbolic leader of the Tibetan people, and partly because of his status as the most famous and prestigious lama among Tibetans, as a result of which he is termed “the spiritual leader of the Tibetan people”. These roles and titles do not mean that he is the leader of Tibetan Buddhism, and he does not have authority over any other tradition or school of Tibetan Buddhism apart from his own. The situation is somewhat complicated by the fact that in 1962 the leaders of the different Tibetan Buddhist schools in exile met and in effect agreed to let the Dalai Lama act as their representative on the international stage. This was part of a larger exile effort at the time to set aside the history of intense sectarianism, given the difficult circumstances that they then found themselves in. Not all lamas agreed with this approach and this effort was only partially successful at that time. But by the late 1980s a broad consensus had been reached among exiles on this issue. There have been cases where lamas from other schools have asked the Dalai Lama for advice in settling disputes, a role that that he and the Tibetan government had played in the past. Sometimes such lamas – the late Shamar and the current Drukpa Lama are two recent examples – have regretted seeking his involvement and have criticized him for his suggestions. It’s these kinds of cases that are represented by his critics as examples of grabbing power. But his involvement in those cases seems to have been a matter of mutual consent. The Shugden campaigners also accuse the current Dalai Lama of trying to dissolve the differences between the various schools or traditions of Tibetan Buddhism. They say this is part of an attempt to destroy what they refer to as the purity of the teachings. The only evidence of this that I can find is the fact that he takes teachings from various traditions, just as was done by his predecessors. Today the different Buddhist schools operate almost entirely independently, and largely amicably, so it’s hard to see the basis for this statement. Q: The protesters claim, “Like a dictator, the present false Dalai Lama has complete control over both religious and secular life within the exile Tibetan community.” How much authority and power does the Dalai have within the Central Tibetan Administration (CTA, in exile), monastic institutions and among Tibetans? Has it changed during his lifetime? Robert Barnett: The Dalai Lama has immense reputational power within the Tibetan community but rarely exercises direct authority. In other words, he has great influence and the potential to shape events, which he has used to raise funds for the exiles, to decide on their general policy direction, and, in the early days, to appoint officials. That’s the normal role of a leader of a community, and he would have been derelict if he had not done that. He has used his influence to organize institutions to preserve Tibetan culture in exile and to maintain the exile community; to persuade Tibetans after the early 1970s to give up violence; and, later, to try to persuade them to give up independence. He was only partially successful in these, and none of them could be called an attempt at complete control. For example, we see no sanction for Tibetans who leave the exile community, and plenty of Tibetans still support the pursuit of independence. Over time he reduced his role as leader so that decisions were increasingly made by exile officials, some of them elected. Even before that we can find few if any occasions where he used his authority directly to decide a case against a single individual or a particular group; he seems not to have exercised power of that kind. His statement on the Shugden issue in 1996 is the only example I know of where he felt so strongly about an issue that he issued an explicit instruction directly to his followers about their personal practice, in this case concerning requirements for those who attend initiations by him. The criticisms that have been made about abuses of the Dalai Lama’s power generally relate not to him but to those of his more conservative followers who use his name to undermine their critics. There have been numerous occasions where Tibetans who disagree with the Dalai Lama on one issue or another have been accused by exile officials or prominent community members of personally attacking the Dalai Lama just because of expressing divergent views (the Shugden protestors have experienced this too, but they do attack the standing of the Dalai Lama). This is a very serious accusation in a highly religious community, and it has stifled debate and led to much resentment. This remains a problem within the exile community. Q: In 2011 the Dalai Lama ceased his political functions. Does this mean that the Dalai Lama lacks any political influence today? Robert Barnett: When he retired in 2011, the Dalai Lama did much more than withdraw from his political responsibilities – he also persuaded the exile parliament to rewrite its constitution so that no future Dalai Lamas or other religious leaders will exercise political power or have any ex officio role in government. This was completely unexpected. So at least in terms of written documents, he secularized the exile government as well as making it largely democratic. But of course, his personal influence remains immense. Because of his historical and religious standing, he is still the symbolic leader of the Tibetans, even though he no longer has a formal role. Ministers will consult him, and many Tibetans will look to him for advice. We can see with the debate over whether Tibetans should give up the pursuit of independence, that his influence is by no means absolute. But he remains by far the most famous and influential of all Tibetan lamas, and the only figure who can unify the Tibetan people and mobilize support throughout the community. Q: There is a difference of opinion as to whether there is a ‘ban’ on Dorje Shugden practice amongst the Tibetan Exile community. Can we really speak of a ban as we would understand and use this term in a Western context? Robert Barnett: It depends on how the term is defined. The Dalai Lama announced in 1996 that those who take initiations and empowerment teachings from him – in other words, his immediate religious followers – should not include Shugden practitioners. So that is a ban, but it has relatively precise application, since it applies only to those who voluntarily choose to attend a particular kind of teaching or ceremony with the Dalai Lama. So the restriction is not an issue of human rights or of discrimination, since one’s religious affiliation and commitment are directly relevant to that event. It is also not a ban in the sense of a universal interdiction on all Shugden practitioners everywhere. Such rules and limitations are common in religious institutions, and there are no doubt equivalent restrictions among Shugden practitioners at a certain level. 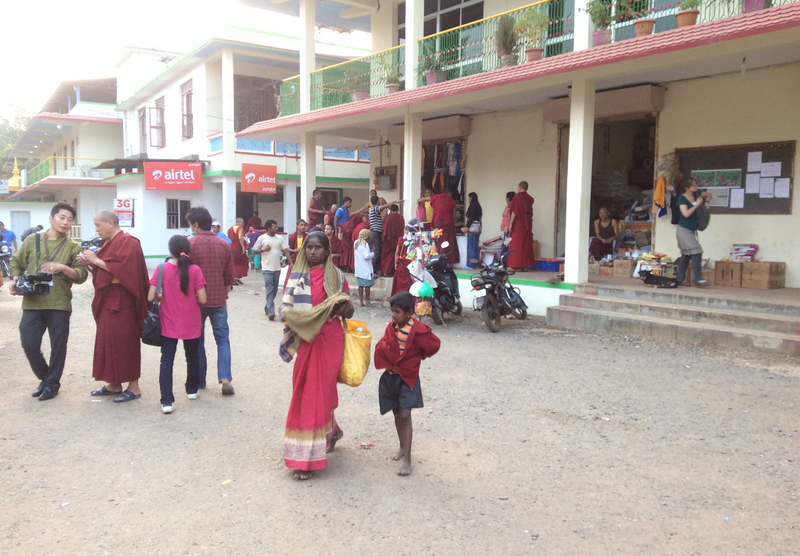 The exile monasteries in India that have posted orders rejecting Shugden practitioners appear to be in a similar situation: their rulings have narrow application to membership of that institution, they are directly relevant to its function, and one chooses whether or not to become a member of that monastery rather than of another. This is not the case when a shop posts a discriminatory notice: you enter the shop voluntarily, but your religious views are of no consequence to the function of the shop. So that would appear to be discrimination; it can’t be justified, and one would hope that the exile leadership would actively educate people not to do that. The situation is also fraught when it comes to membership of the Tibetan community in exile or of the exile administration, because membership of those is not fully voluntary, and one’s religious practice is not directly relevant to its activity. This is also true of social organizations among Tibetans. In these cases, exclusion on confessional grounds would probably constitute an abuse of rights. In the case of the exile government, the evidence is unclear: there are conflicting claims about whether or not there are restrictions on Shugden practitioners within the exile administration. So this needs further research. Q: There seems to be a certain demonization of Shugden practitioners from the side of the CTA. In a CTA statement from March 2014, they are called “criminals in history”. Robert Barnett: That statement was made by the exile assembly or parliament, not the CTA. It does not suggest a thoughtful response intended to reduce the intensity of conflict. But the CTA has gone even further than the parliament: it has posted a list of names of selected Shugden practitioners on their website, with their photographs and identifying information. This is a form of public denunciation, and it risks encouraging anger and victimization. If these people have committed a crime or are planning one, as some exile leaders have claimed, then it is for the Indian police to publish the names of suspects, not politicians or exile governments. This kind of intervention seems contrary to democratic principles and prejudices fair and open debate. It is of course understandable that many exiles are angered by the Shugden protests – judging from the slogans used by the protestors, it is hard not to see their objective as being to provoke the majority of Tibetans. But, as leaders, the exile officials need to separate the human rights allegations from the political demands, and to deal with the former with calmness and maturity. This would strengthen their own position as responsible leaders and exponents of democracy. They need to research each allegation in a dispassionate and factual manner, outlaw all forms of discrimination within their community, advise Tibetan community groups to remove exclusions from their bylaws, and conduct public education about the importance of tolerating towards minorities. It will not be easy, given the bitterness and provocations that they face, but that would seem the best way forward in this case. Q: In the West Tibet supporters tend to accuse the protesters of being financed by China. Does China play a role in this controversy, both inside and outside Tibet? Robert Barnett: The role of the Chinese authorities in promoting Shugden worship inside Tibet is significant, and their policy on this matter is viewed by some as encouraging religious conflict in Tibet. It is now illegal in some areas to discuss or raise the Shugden issue, and it is certainly dangerous to express support for the Dalai Lama’s view. Some arrests have taken place of monks supporting that position. Social conflict is already evident, and at least one person is reported to have been killed in Tibet in a fight over the Shugden issue this year. The Chinese government’s position on the Shugden question closely mirrors that of the western protestors, and high-level Chinese officials have made frequent statements attacking the Dalai Lama on this issue. Some exile Tibetan Shugden practitioners and Shugden groups are open about working closely with the Chinese authorities on this issue, and some of these exiles have published anti-Dalai Lama articles in official Chinese publications, as is their prerogative. There is, however, no consistent evidence of significant connections between the Chinese government and the western Shugden protestors. And there no evidence that the Chinese government is funding the western protestors. These protestors belong mostly to a religious organization with an unusually effective method of recruiting, where each convert who reaches a certain, relatively low level is encouraged to go out and start a separate centre, and in turn recruit more followers. This model, not often found among Tibetan Buddhist movements, produces large numbers of followers, and this creates potential access to funds too. So it is not necessary to assume that the western protestors need support from other sources. Neither is it strictly relevant. The immediate question is whether any of the human rights concerns raised by protestors have any merit and, if so, what should be done to address them. But that is unlikely to happen, given the decision of the protestors to combine those concerns with a political, factional campaign against the standing of the Dalai Lama. Header image: © Tsewang Norbu. Dalai Lama protesters in Germany, Frankfurt Main, 14 May 2014.